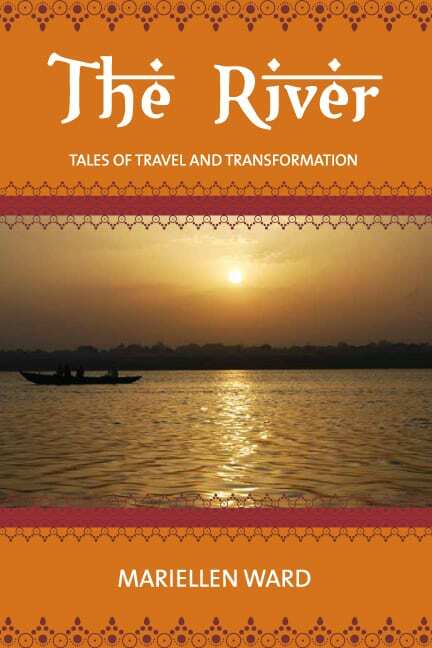 The River speaks in many voices as she travels from the high Himalayas to the Bay of Bengal. 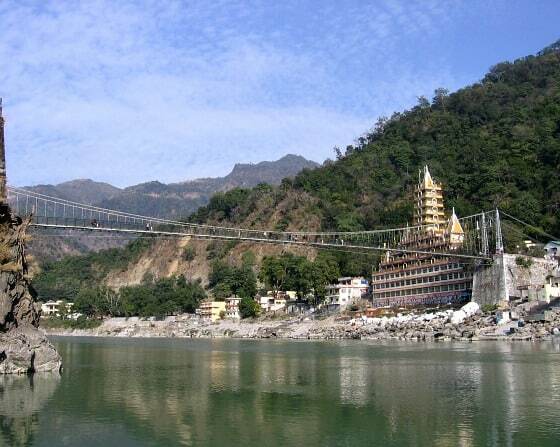 Through Rishikesh, Ganga sings as she passes through the enchanted valley ringing with bells. Her song is joyous, full of the the jubilance of youth, the rush of fresh mountain streams, the sincere chanting of pilgrims who wish her well and the excitement of the onward journey. Ganga is gorgeous in Rishikesh, jewel-green, opaque and sparkling. A beauty for the ages, decorated with flower-and-light filled offerings. At Rishidwar, she slows a little to enjoy the mist-covered mountains, tulsi-filled meadows, low flying birds and grazing cattle. The languid movement of the surface of the water belies the depth and strength of her current and hints at a sonorous voice. Here, her deep, quiet power is felt more than heard and she imbues the surrounding countryside with sacred serenity. 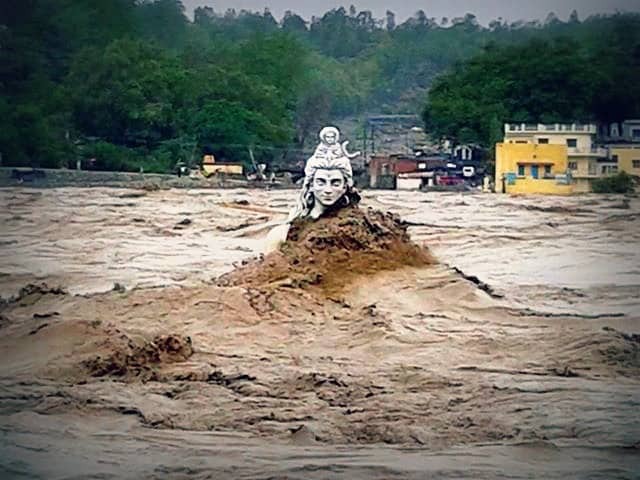 Before Haridwar, she splits. One wide, shallow stream provides respite to sadhus, villagers and pilgrims. She creates a beautiful, natural habitat for people, animals, birds and fish, and speaks to them of contemplation and bounty. She offers her love in her voice and the people rejoice. A narrower stream gathers the force of Shiva and races through the sacred city of Haridwar. At Hari-Ki-Pari, Shiva’s spirit infuses Ganga and together they shout out to the devoted their call of redemption and hope. The very air boils with unseen demons, drawn from the sky, the underworld and impure hearts, to be cleansed by the sacred river of India. In Haridwar, Ganga partakes of the ancient rituals, receives the blessings and begins her work in earnest, with a renewed devotion, as she enters the plains. From here she makes her way a thousand miles or more to the sea. Along the way, she provides bounty to fully one-tenth of the world’s humanity in the form of water, silt, fish and the other animals drawn to her shores and depths. As she rolls like thunder through the great expanse of the heartland of India, she collects the stories of the people on her banks. Her voice is ancient, maternal and mighty; she speaks of livelihood, duty and family; the cycles of life and death, the seasons, the inevitable, the timeless. At the sangam in Allahabad, where three rivers meet, the Ganga, the Jamuna and the mythical Saraswati, her powerful chant draws millions to her. Ganga is in her full glory, blessing the millions and reminding them of their source and their truth. When she reaches Benares, Ganga’s roiling waters are dark shades of slate. This is the only place in her 1,500 mile journey where Ganga chooses to flow north, back towards her birthplace in the Himalayas. At this place — Benares, Varanasi, Kashi, the City of Light — Ganga takes us on a journey through the underworld and gives us the opportunity to experience the dark side of the duality of life. 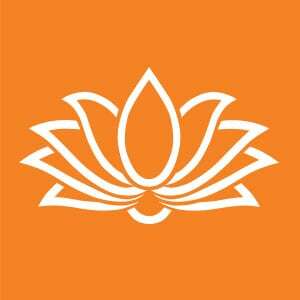 For this place is a Mahashamshana, a great cremation ground; a place where souls cross over. Here, Ganga’s voice is soul-shaking; it shatters the veil. She gathers up the ashes and corpses of the devoted; and blesses those with the courage to immerse themselves in her murky waters. In her honour, the Benares aarti is a sun-burst of light and hymn; a glorious evocation of all the souls through all the ages who have crossed over here. Below Benares, Ganga continues her long journey. She fans out in an enormous watery delta before joining the sea in many places. Ganga’s waters feed the bodies and her voice feeds the souls of millions. She is indeed the lifeline of India’s culture.